Pharmaceutical Outsourcing companies around the globe are increasingly looking towards outsourcing in an attempt to increase their general productivity and competition. Large pharmaceutical firms are looking towards smaller more specific firms to help them break through to the next level of improvement and innovation. 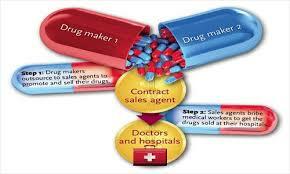 Pharmaceutical Outsourcing consulting firms are made to advise companies on every aspect of their business, to help them become more successful and achieve maximum profitability. A pharmaceutical outsourcing consulting firm will give your pharmaceutical business an idea on how to realize outsourcing efficiency, in addition to fill you inside on process innovation tips you may not be aware of.